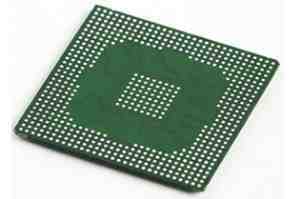 Ball Grid Array (BGA) is a type of surface-mount packaging used for circuit board assemblies and to permanently mount microprocessors and other devices. BGA allows for more interconnection pins than dual in-line or flat packages because the entire bottom surface can be utilized rather than just the perimeter. Since the interconnects are fragile and susceptible to damage from moisture and impact, BGA underfill is used to protect the circuit board assembly by creating sounder thermal and mechanical properties. Plasma Ruggedized Solutions can underfill any Ball Grid Array (BGA) components, using a variety of encapsulant materials. Our BGA underfill service protects sensitive circuit board assemblies against damage from dropping and other impact hazards. 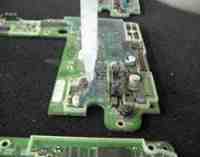 Cell phones, digital cameras, and other equipment that may frequently be dropped knocked around or otherwise unintentionally subjected to severe shock and vibration benefit greatly from this process. Plasma Ruggedized Services offers manual and automated BGA underfill processes to give our customers the best possible service. We determine which components of your electronic assembly are potentially sensitive and in need of underfill, then choose the proper encapsulant material and BGA underfill process for your circuit board assembly. We work closely with our materials suppliers to deliver the best available options, and we’ll help select the ideal materials for your specifications. Our underfill application and curing processes are incredibly adaptable to the needs of the project at hand and can be adjusted and readjusted until we arrive at the perfect process for your PCB assembly application. Contact us to learn more about manual and automated BGA underfill options for circuit board assemblies. BGA underfill provides a strong mechanical bond between the BGA component and its connection to the circuit board, protecting the solder joints from physical stress. The underfill material can also aid in heat transfer (CTE) between the BGA component and the board, and in some cases can even serve as the primary heat sink for the component. Plasma ruggedizes Solutions uses a specialized BGA underfill process that employs made-to-order materials in a frozen state to minimize the possibility of contaminants and unwanted variations in the material. These uniquely contained materials are ideal for the precise application requirements of the underfill process. Contact Plasma Ruggedized Solutions for more information or request a quote for ball grid array services. In addition to standard BGA underfill and BGA reballing services, Plasma Ruggedized Solutions can rework PCB assemblies including desoldering or re-soldering printed circuits. Most underfill materials are re-workable, so it is possible for our customers to repair and replace component parts should they fail in the field. The ultimate end goal of our BGA underfill process is to reduce the operating stresses on the unit assemblies and reduce the overall processing time and manufacturing costs. Plasma Ruggedized Solutions uses state-of-the-art equipment and proprietary materials to provide high quality BGA rework, BGA reballing and BGA underfill services for printed circuits and other devices. Request a quote for BGA underfill and X-ray diffraction testing services today or contact us to learn more about our ball grid array services. Plasma Ruggedized Solutions’ BGA underfill processes are applicable to a number of products, in addition to BGA components. We also offer underfill services for LGA (land grid array) devices, to account for packaging density and chip scale considerations; CSPs (chip scale packages) to prevent damage due to weight, shock, vibration, etc. ; as well as underfill for chip-on-chip devices, quad flat packs, no leads, and many, many others. As more electronic devices utilize underfill packaging in their manufacture, Plasma Ruggedized Solutions’ continues to be your leading source for BGA underfill services. Plasma Ruggedized Solutions is the industry leader in BGA underfill and conformal coating services. PRS works across industries, providing solutions to a variety of applications. Request a quote today, or contact us to learn more about our ball grid array underfill services.